The income statement would be everyone's favorite financial document if people had favorite financial documents. 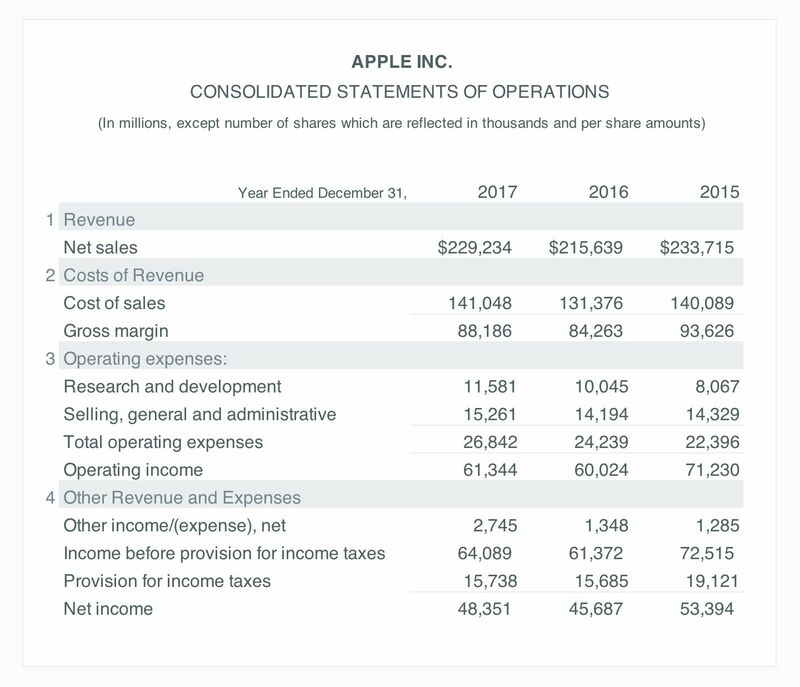 They are the most straightforward of the three primary financial statements, and they tell us how much money we're making. On the flip side, income statements also tell us how much we're losing in "less-happy" scenarios. So, maybe not everyone is quite as excited by them as I am. 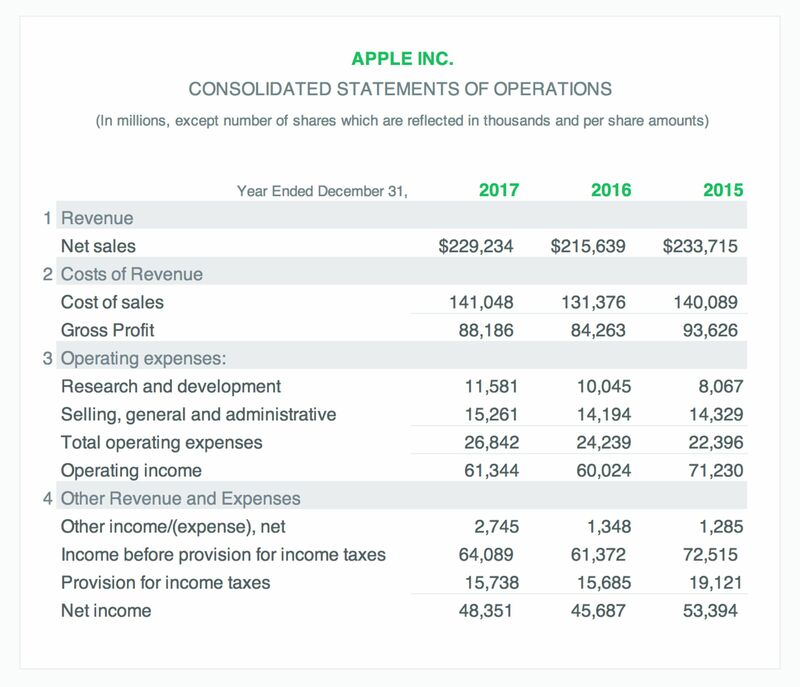 Since you're reading this post, I'll assume you're eager to dive right in, which is excellent news because we're about to embark on a mystical journey breaking down the critical information you need to begin using the income statement for smarter decision-making. The income statement – also known as a P&L – displays the financial performance of a business over a specified period. The chosen time interval differs depending on the purpose of the document. For instance, yearly and quarterly income statements are often created for taxes, investors, and lenders, but these timeframes aren't as useful from a management perspective. Managers often need more immediately relevant information to make informed decisions. Another important characteristic of the income statement is that it's historically facing. Meaning, it accounts for previous financial transactions that have already taken place. "Future-facing," or forecasted income statements do exist -- called "Pro Forma's" -- but they're less official, and that's a topic for a different post. Dates are always clearly marked, so it should be pretty easy to figure out how old the information is. Now that we've properly oriented ourselves in time, space and purpose, you may notice the document is broken down into four primary sections. The first of which is revenue. Revenue is obviously the best section. This is where we report all the money we're making by providing awesome products and services. We calculate revenue by multiplying the selling price of goods or services, by the total number of sales transactions. Seems simple enough. You have something someone wants, they give you money for it, and boom: revenue. However, life isn't always so simple. What happens when, instead of paying on the spot, your customer promises to pay sometime over the next 30 days? Something commonly experienced in custom projects and B2B transactions. The world's a messy place. I don't want you to worry, though. Wherever there's chaos in the world, we can be sure a team of specialists are working tirelessly to organize every scenario into little-bite-sized-treats. This is where accounting standards like Generally Accepted Accounting Principles (GAAP) come in (IFRS for international standards). These are the rules that tell us when we're supposed to "recognize" revenue. I recommend reading them alongside a cozy fire. The guidelines for revenue recognition vary widely, so to keep things simple we'll say revenue gets reported on the income statement once it's been earned. After we earn and report revenue, we can then start to investigate what it's telling us. Each line item in the revenue section represents a series of decisions and activities taking place behind the scenes -- in varying degrees of complexity -- that are coordinated in such a way to produce the revenue earned. For instance, Tesla shows automotive sales as one of their revenue streams. It nicely sums up the revenue produced selling cars. However, behind this line item there’s sophisticated supply chains, manufacturing processes, and distribution networks designed to optimize the efficiency in delivering vehicles to customers. The complexity of our route to market often dictates the costs required to maintain a seamless revenue generating machine. Those costs are divided between two categories: Cost of Revenue and Operating Expenses. Cost of Revenue includes the money you spend directly on producing a product and delivering services to customers. For the purposes of this post, we'll use the cost of revenue to represent the different names for the "Costs of" family. These names may indicate slight differences in accounting, but they are intended to separate the direct costs of producing revenue from money spent supporting the business. Due to its direct relationship with revenue, we can often expect costs reported in this section to increase as revenue grows, especially if you're selling or producing physical products. Companies selling digital goods would generally experience less variability in costs of revenue since there are typically no direct costs associated with selling an extra unit of digital product. The sources driving costs of revenue have significant implications for the scalability of the business model. The results reported in gross profit clearly illustrate these consequences. 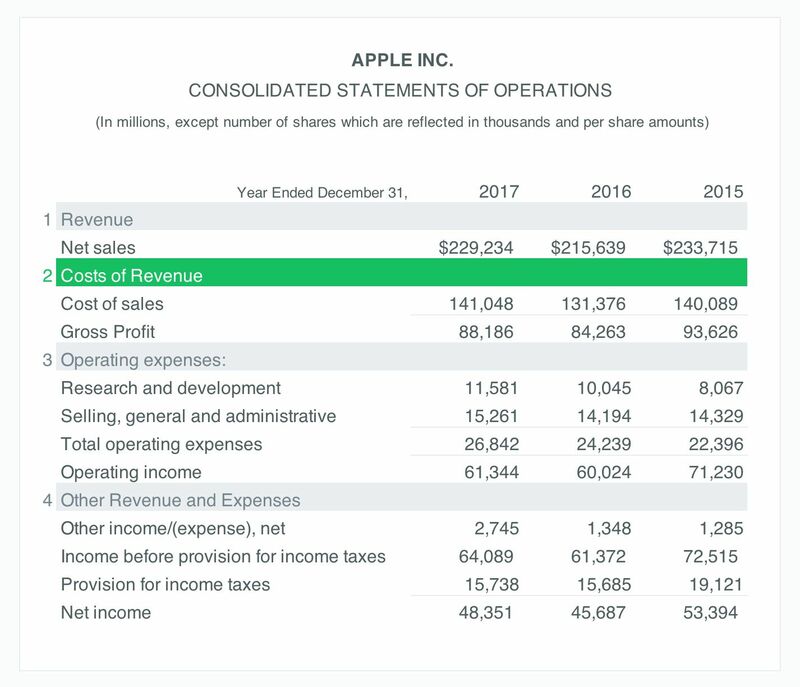 Gross profit is what we have left after subtracting the costs of producing revenue from the revenue we've earned. The result of which is a story about how efficient the company is at generating revenue. This efficiency is often measured by converting gross profit into a percentage called "Gross Margin" (gross profit divided by revenue). Looking at profitability through the lens of gross margin allows us to assess the relationship between costs and revenue as they change over time. Standards for acceptable margins will differ across companies even within the same industry, but it does also allow a standardized basis for comparing performance against similar businesses. Hopefully, whatever's left in this section is enough to cover operating expenses. The operating expense section is where we'll find all the costs associated with running and supporting the business. Sales, marketing, management salaries, research and development, rent and many other “overhead” expenditures go here. These are generally expenses that aren't directly linked to the costs of producing a single unit of product, and it’s the first place to look for frivolous behavior. 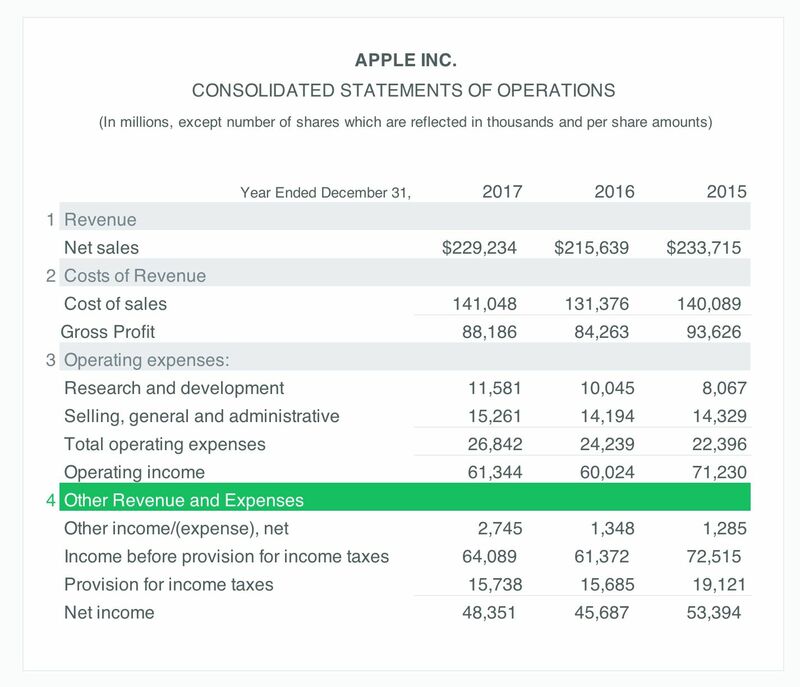 Once we've accounted for all of our business costs, we're left with one of the most important elements of the income statement. Operating profit, sometimes called EBIT, is what we have left over after paying all the costs of doing business. Conceptually it is very close to a frequently cited term called "EBITDA." EBITDA is an acronym that stands for earnings before interest, taxes, depreciation and amortization. We transform EBIT into EBITDA by merely adding back any depreciation or amortization expenses. EBITDA holds an exceptional status in the ranks of MBA students across the globe. It's considered the holy grail of financial performance, and they even hold weekly seminars worshipping EBITDA. 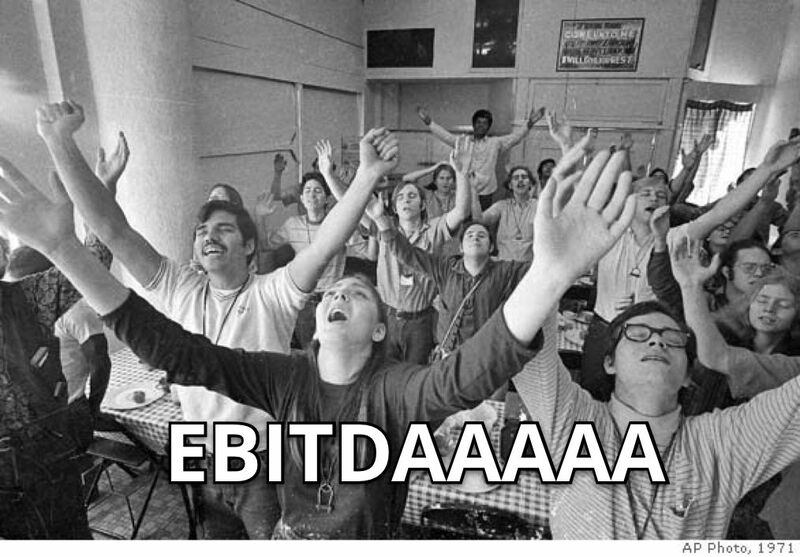 I'm just kidding about that last part of course, but EBITDA does play a significant role in the world of management. EBITDA's influence is a result of what it tells us about profitability. It's often used as a more accurate measure of profit from operations and is consequently viewed as a rough approximation for Operating Cash Flow. 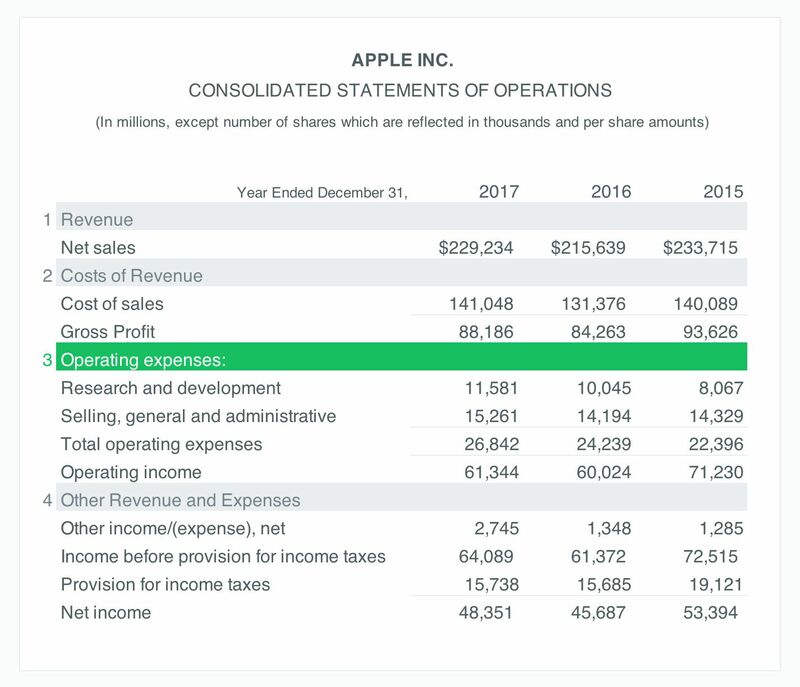 The last section of the income statement can muddy the waters of profitability too much if we’re simply trying to understand how much money the business is generating. The Other Income and Expenses category is for sources and uses of money that aren't considered standard outcomes of running the business. Both revenues and expenses in this section reflect unusual or nonrecurring events. For instance, your local dry cleaner may include rental income received from a property they own in this section. Even though the dry cleaner might make significant rental income, it isn't a revenue stream that should be factored into operating profit, since it has nothing to do with running the dry cleaning business. With all of this in mind, we can begin to see why it’s popular to exclude this section when analyzing profits. Net income lumps everything together, which could be deceptive if significant nonrecurring events took place and we want to understand the health of the underlying business. We've finally reached the end of our glorious journey and arrived at net income. This is the total amount of money the business made or lost. Theoretically, a positive value for net income means you have money left over to invest back into the business, service debt, or distribute to shareholders. The possibilities are endless. You're profitable after all. However, before you take everyone out to celebrate at Dave & Busters, keep in mind that net income may be misleading us due to the revenue (and expense) recognition rules we discussed above. Just because we've earned revenue doesn't mean it's sitting in our bank account yet. To understand how much we actually spent and collected, we'll need to take a look at the Cash Flow Statement. 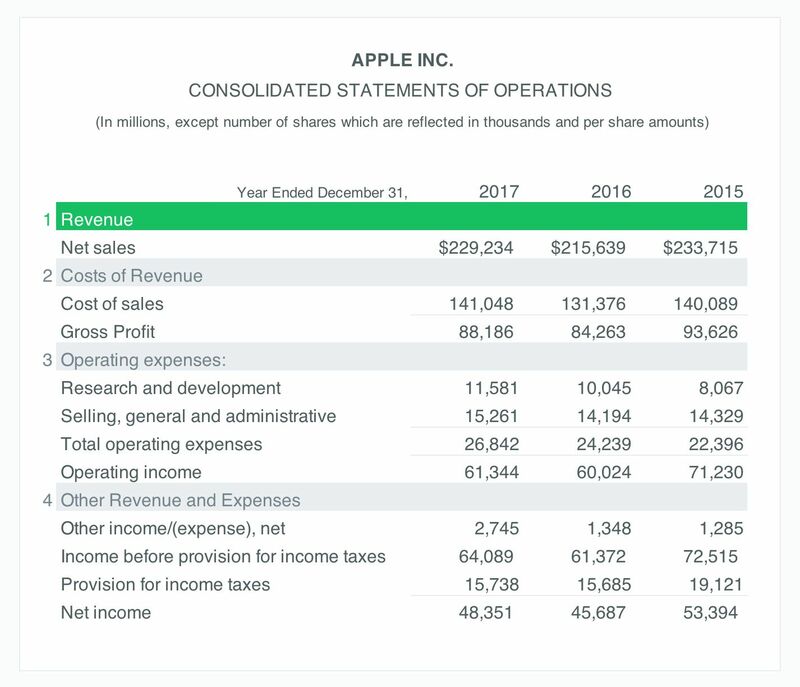 Here's a spreadsheet including the income statements of a few of the worlds favorite companies. I've separated each of them out by the four sections we discussed above, so you can see how to put your new knowledge into practice.